An Air Force veteran has been charged with aggravated battery and resisting a police officer after he attempted Friday to save his dog from his burning home. The South Side Chicago fire killed the dog and left three firefighters injured, authorities said. 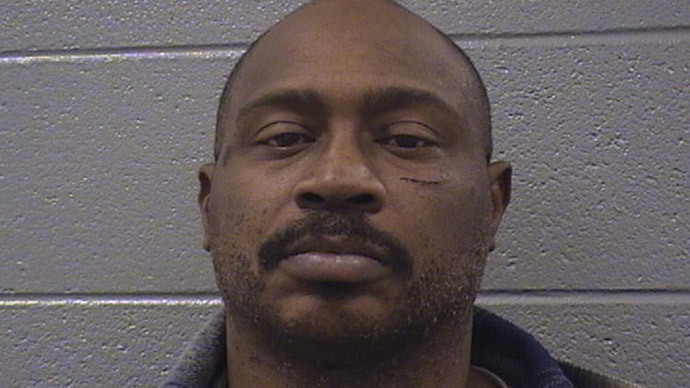 Samuel Lee Bassett, 48, was ordered held on $300,000 bond,accordingto the Chicago Tribune. Bassett allegedly hit a police officer who was restraining Bassett from entering the burning home to save the dog, fire officials said. “You should have more respect for police officers,” Cook County Judge Adam Bourgeois Jr. said, the Tribune reported, when setting Bassett’s bail amount. The blaze began at around 2 p.m. CT on Friday. The fire did not seem suspicious, and no one was present at the home when it started, according to fire officials. At around 3 p.m., Bassett was arrested and charged with two counts of felony aggravated battery to a police officer and a misdemeanor charge of resisting police. His dog died in the fire. Bassett was told repeatedly to move away from the burning house, according to court records cited by the Tribune. He lived at the house with the dog and his fiancee, a friend of his told the Tribune. Bassett allegedly hit in the face an officer attempting to handcuff him. Bassett was also hit in the face during the altercation, but he refused medical attention. Out of precaution, three firefighters were taken to area hospitals for minor injuries suffered while battling the fire, which “broke out when combustible material in an enclosed area ignited spontaneously,” according to NBC Chicago. Bassett, a lighting designer, was honorably discharged from the Air Force, his attorney told the Tribune. He has no prior criminal record.